MANCHESTER, NH — A $300 million biotech research and manufacturing center soon to be launched in the Manchester Millyard could help the state address a shortage of high-tech workers because it has unique attributes that will attract Boston-area talent in a way most existing enterprises cannot, according to some of the state’s leading economists and educators. The Advanced Regenerative Manufacturing Institute is also expected to spawn a host of associated enterprises that will spring up around it as suppliers and subcontractors start new businesses in and around the Millyard to take advantage of the critical mass this federally funded program is expected to generate. The initiative, unveiled at a White House gathering of academic and industry leaders on Wednesday, will be led by Manchester inventor Dean Kamen, whose Millyard buildings will house the research and development of new technology for generating tissue to be used in organ and limb replacement, particularly for wounded military personnel. The Defense Department said $80 million in federal funding and $214 million from industry, university, nonprofit and other sources would be devoted to the effort. With plans to hire up to 100 employees by the end of next year, the ARMI will be competing with New Hampshire’s existing high-tech companies for an already strained labor supply. Economist Brian Gottlob of PolEcon Research in Dover, who has spent years studying the labor market in New Hampshire, says ARMI could actually help improve the situation. The combination of secure financing and an opportunity to work in such a high-profile endeavor could put ARMI in a category all its own when it comes to recruitment, and draw professional talent into New Hampshire from Massachusetts in a way that hasn’t been seen since the 1990s. The availability of biotech talent in nearby Boston had to be a consideration in the decision to award the work to Manchester, because there’s little question the existing labor pool in New Hampshire would be inadequate. “What they are going to need initially is scientists and researchers and there is clearly more of that workforce available in the Boston area than in New Hampshire, with the exception of some spaces around Dartmouth where they have done biology work in the past,” said Gottlob. That’s where the partnership with nearby University of New Hampshire at Manchester comes in, according to Mike Decelle, who was named Dean of UNH-Manchester in February. 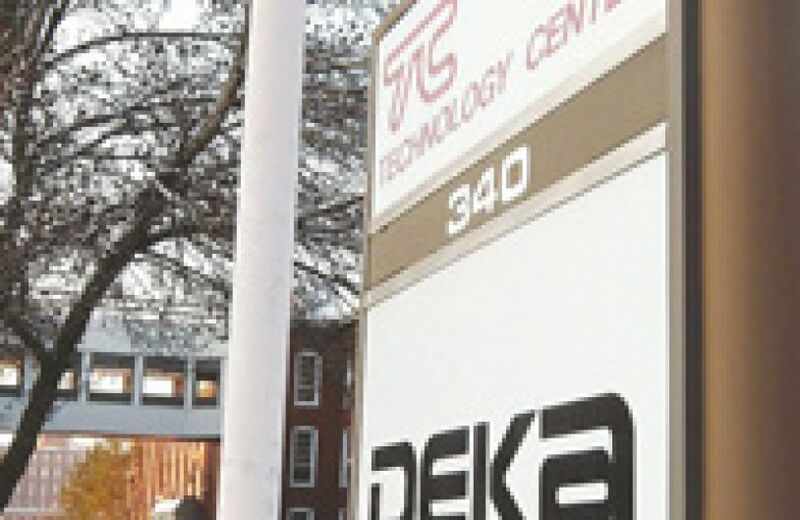 The university is a neighbor to Kamen’s Deka Research and Development Corp. and its nearly 400 engineers in the Millyard, and was a partner in developing the project, according to Decelle. The portion of the successful proposal that addressed education and workforce development was written by UNH personnel in partnership with Kamen’s organization, he said. 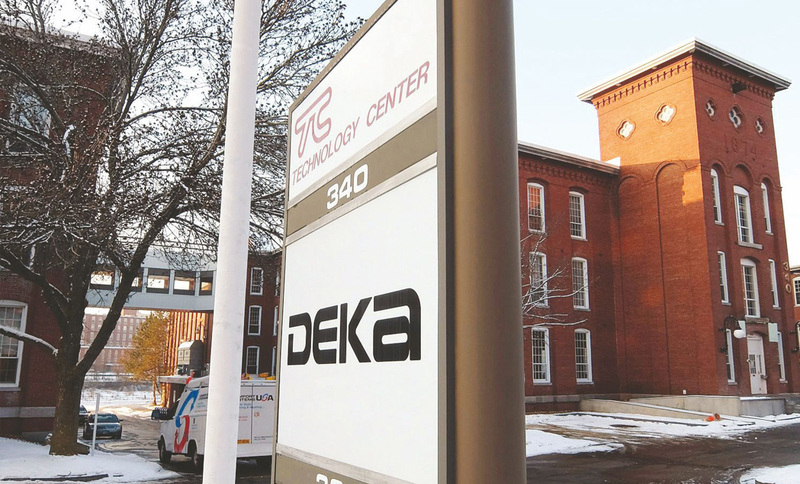 “Part of the plan for economic and workforce development is going to involve us actually building laboratory facilities on the sixth floor of our building in Manchester that will be expressly supporting the work of the institute,” said Decelle. In the years that follow the initial research, the hope is that ARMI will ramp up to full-scale manufacturing and distribution, which will mean hundreds of good paying jobs in advanced manufacturing that don’t necessarily require a graduate degree, but will require some specialized training. Decelle said an existing relationship between Great Bay Community College in the Seacoast and Lonza Biologics at the Pease International Tradeport is a model for business and education collaboration in workforce development that could be applied to the ARMI initiative, to the benefit of students at Manchester Community College and others nearby. Manchester Mayor Ted Gatsas, who initially expressed some concern about staffing the operation, is expecting in-migration to be a big part of the solution, not only for ARMI but for the many spin-offs it’s expected to generate. “I think what you’ll find is that eventually we’ll have a group of companies that are working in the biotech field, and you’ll find employees coming up from Boston to work here, especially with the tax climate and quality of life we have to offer,” he said. While it’s hard to look at Wednesday’s announcement as anything but positive for the economy of New Hampshire, the ARMI will not solve the state’s workforce shortage in high-tech fields or address the nagging problem of under-employment by many who are working. And while the opportunity to work on the cutting-edge of tomorrow’s technology has enormous appeal, it won’t change fundamental demographics.